Marvin Miller changed major league baseball and the business of sports. 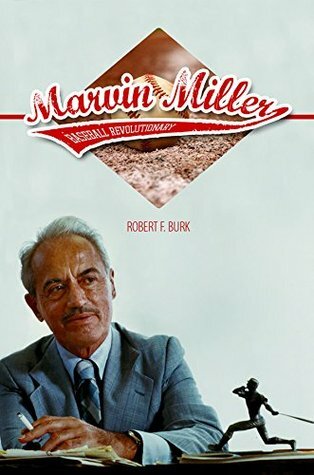 Drawing on research and interviews with Miller and others, Marvin Miller, Baseball Revolutionary offers the first biography covering the pivotal labor leader's entire life and career. Baseball historian Robert F. Burk follows Miller's formative encounters with Depression-era hard times, racial and religious bigotry, and bare-knuckle Washington politics to a successful career in labor that prepared Miller for his biggest professional challenge--running the moribund Major League Baseball Players Association. Educating and uniting the players as a workforce, Miller embarked on a long campaign to win the concessions that defined his legacy: decent workplace conditions, a pension system, outside mediation of player grievances and salary disputes, a system of profit sharing, and the long-sought dismantling of the reserve clause that opened the door to free agency. Through it all, allies and adversaries alike praised Miller's hardnosed attitude, work ethic, and honesty. Comprehensive and illuminating, Marvin Miller, Baseball Revolutionary tells the inside story of a time of change in sports and labor relations, and of the contentious process that gave athletes in baseball and across the sporting world a powerful voice in their own games.